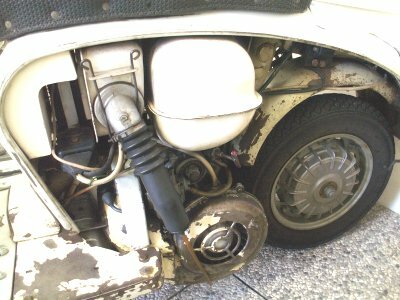 The automatic 'B' was produced by Innocenti, in a joint venture with Kreis, a German gearbox specialist. 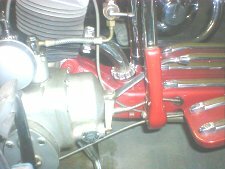 It dates from November 1949, as has the same set up found in any modern car i.e, neutral - drive - 1st and 2nd . 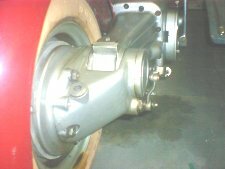 Selection of the gears is done via a hand operated lever, and includes a foot 'kickdown' for selecting a lower gear. 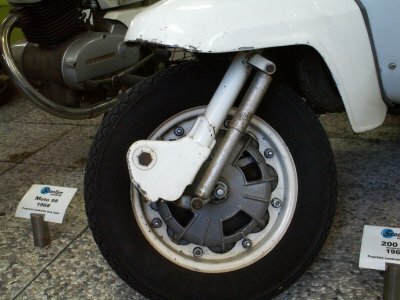 This is believed the only surviving example of three prototypes produced, with cost thought to have kept it from going into production. 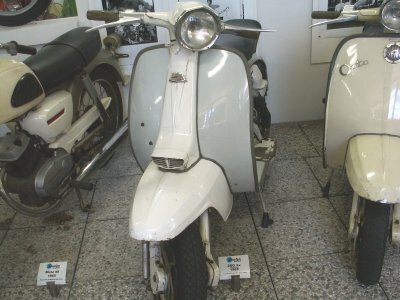 The Innocenti twin was produced as a means to give more power to keep up with the ever increasing speeds to new motorcycles coming to the market place. 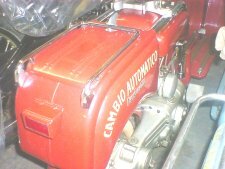 The engine is basically two 100cc barrel, piston and crank assemblies, in line side by side with each other. 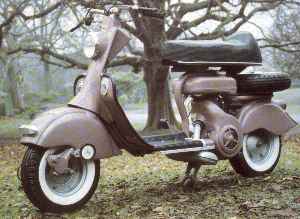 This of course gave a cc of 200, having ridden the machine I can confirm all reports that it is the smoothest Lambretta ever produced/ridden. 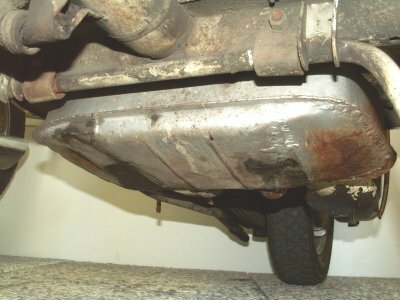 Lots of extra torque (pulling power) is made by the extra cylinder, although we are unsure of the top speed! From the front the twin looks like a standard SX, its not until you start to look at the scooter, that you notice something is not quite right.! 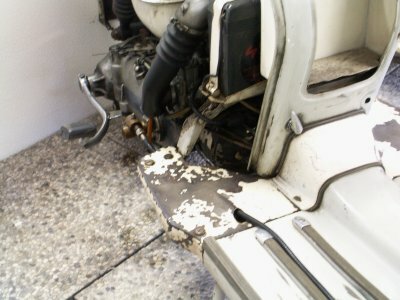 To start with the floor boards are cut down, the rear frame legs and in a different position, and smooth. 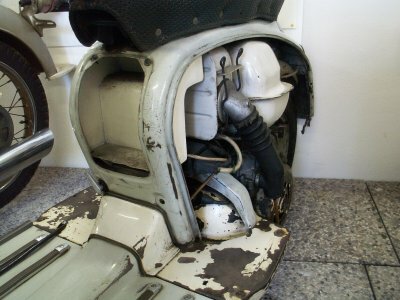 Although the scooter on the whole is excellent in terms of positioning of the extra parts, need, moving certain things around, you can just about see the smaller toolbox that would have been used in production due to the twin air system needed for both 20mm carbs. 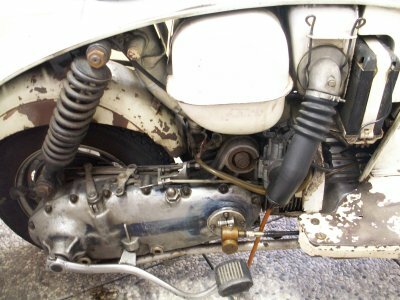 Apart from the drive unit for the Smiths rev counter, which functions perfectly, outwardly this side view of the main casing differs little from a standard production single cylinder unit. 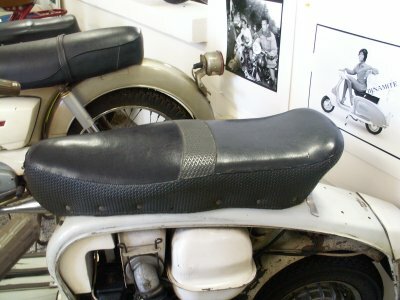 The seat on the twin, although pretty standard looking in terms of shape, actually features the waffle style pattern that made it into production on the last models made by Innocenti, the GP Electronics. 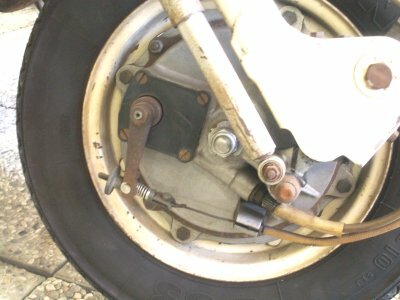 One feature of the twin which never saw production was the re designed disc brake. This feature a fixed disc, and moving pads, unlike the floating disc that all productions models got. 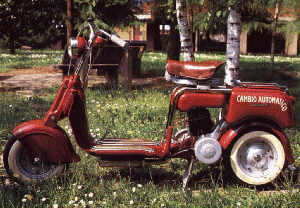 From this side, it looks like a standard Lambretta disc! That is until you look around the other side and see the different operating mechanism. There are two reasons given for not making this from the Italian experts depending on who you listen to. 1) Too expensive to produce. (Vittorio sates this). The D/LD was not a true Innocenti prototype, rather an exercise into what a prototype may have looked like. Mike Karslake was commissioned to produce this machine as a prototype of the time the D and LD started production. It utilises parts from both the Model D and the LD hence it's name! 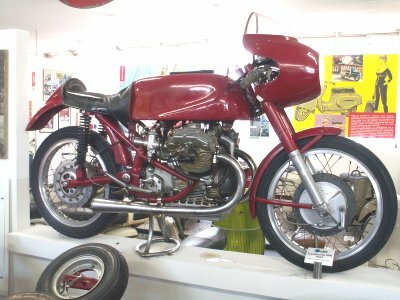 In 1951 Innocenti built a 250cc, twin shaft drive, air cooled, with lightweight wheels, many features not seen in the motorcycle world in 1951! 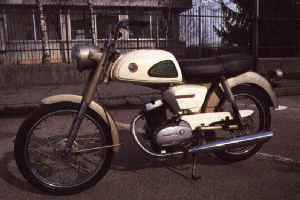 As mentioned, it was probably to serve a warning to the motorcycle world, that if they had to, Innocenti could and would produce a machine to match, and probably beat, all others. 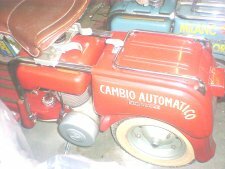 This hopefully stopped the motorcycle world encroaching on what Innocenti saw as their market.